Applied behavioral analysis, or ABA, therapy is a powerful tool for teaching new skills to children with autism symptoms, attention deficits, developmental delays, and behavioral concerns. If you are planning to begin ABA therapy for your child, then there are several things that you can expect. First, you will be interviewed by a behavior analyst . This step is to provide the therapist with detailed information regarding your child’s medical, family, and developmental history. Typically, your child will not be present for this appointment, as the intake session is an opportunity for the therapist to discuss the parent’s concerns and goals for the child. At the end of the interview, the ABA therapist will discuss any clinical impressions they have reached and provide you with initial treatment and assessment recommendations. After the intake session, the behavior analyst will conduct a skills assessment with the child. The primary focus of this assessment is to determine the child’s skills and areas of need in matters such as play, fine/gross motor, social, self-help, and language skills. It may take multiple sessions to acquire a baseline for this information. Based on the outcome of the skills assessment, your ABA therapist will develop an individual treatment plan. The length of treatment can vary widely, from as little as a few months to as long as several years. The therapist will discuss the proposed goals for your child’s treatment. The individual treatment plan will continually be updated with new goals as your child acquires skills. The therapy sessions can include both skills assessments and treatment for problem behaviors. A session typically consists of natural environment teaching, or NET, and table teaching, although this can vary depending on a child’s individual needs. At The Behavior Exchange, our goal is to improve the lives of children using scientifically validated ABA techniques. To learn if your child could benefit from attending an ABA school near Dallas , please give us a call at (888) 716-8084. When you choose to place your child with autism in an ABA school, participating in parent training is an excellent and important way to help ensure your child’s success. Parent training helps empower you through teaching practical techniques that can improve the life of your child as well as the overall happiness of your family. Through parent training, you can expect to learn how to prevent problems and facilitate appropriate behaviors. 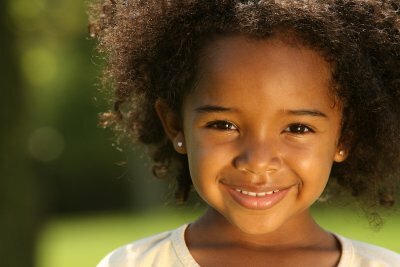 You will also be taught the skills needed to improve your child’s interactions with family members and their community. Also, you will learn how to structure your daily routine and create a home environment that can promote better behavior for your child. If you are looking for ways to help improve the life of your child with autism symptoms, then look no further than The Behavior Exchange. Our ABA school is dedicated to helping children with autism and behavioral issues develop new skills, and to working with parents to help them improve the behavior of their children. To learn about our parent training for autism serving Plano , please contact us at (888) 716-8084. Epilepsy is seen in about 25 to 30% of children with autism and in some cases, epilepsy may affect the autism and the child’s development. For example, if epileptic discharges are over the child’s language center, then this can prevent his language skills from developing. Watch this video to learn more about the link between autism and epilepsy. Since epilepsy can be diagnosed in children with autism symptoms, it may be appropriate to take measures to diagnose the condition through a 24-hour video EEG. The Behavior Exchange is an ABA school that offers a broad range of programs for children with autism. If you believe that your child could benefit from autism therapy near Frisco, then please give us a call today at (888) 716-8084 to learn about our services. Autism spectrum disorder, or ASD, is a term used to describe a range of behavior disorders. Often simply called “autism,” these disorders can affect an individual’s ability to communicate with others and develop social bonds in the same way as his peers. In this video, you’ll hear a child with high-functioning autism and his younger sister describe how autism affects his thoughts and feelings. Although there are many types of autism and autism symptoms can manifest in several ways, children with autism can learn positive social and communication skills with the right support. If you’d like to learn more about autism therapy near Plano , please call The Behavior Exchange today at (888) 716-8084 or visit our website. We are dedicated to providing families with the education and support needed to help children with autism excel, including autism communication training through ABA therapy. Students with autism often face unique challenges in the classroom. However, these students also bring a thirst for learning and creative thinking skills to this environment. These students can greatly benefit from a school environment that allows them to interact with peers and teachers through a customized learning plan that takes each student’s needs and goals into account. Individualized education programs , or IEPs, are required by law for children who receive special education services. 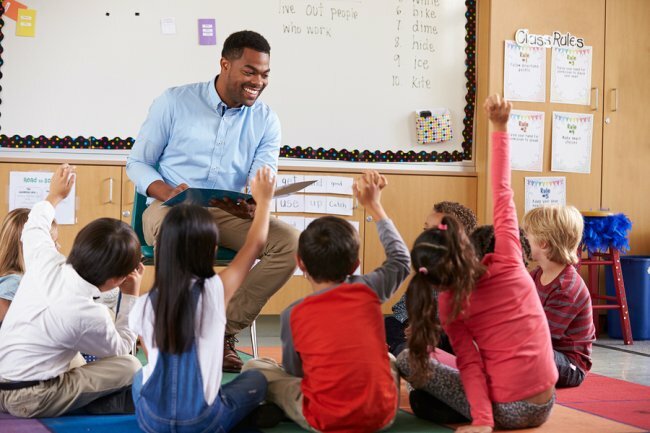 An IEP outlines your child’s specific learning needs and provides a rubric for goal assessment to help teachers and other school staff create, implement, and manage his educational path. This document also spells out the accommodations the school will make for your child, such as allowing special test-taking circumstances, and transition planning for older children to prepare teens for success after high school. An IEP is created with input from several individuals; this group often includes parents, teachers, school administrative staff, and ABA therapists. In addition to developing an IEP for your child, working with an autism school consulting service can provide added information and training for school staff to ensure your child receives appropriate support and attention. A school consulting service can objectively assess the school’s current autism and other special needs support services, then make suggestions to modify and improve these programs to improve the learning environment for students and teachers. By providing up-to-date education and consulting, a school consultation can create a stable foundation upon which your child’s educational program can be built. Would you like to learn more about how The Behavior Exchange can help your child excel in the classroom environment? We are pleased to offer a variety of services designed to meet the needs of children with autism in Plano, including applied behavior analysis , communication training, parent training, and school consulting services. You can reach us by phone at (888) 716-8084, or visit our website to learn more about helping children with autism, Asperger’s, and other behavior disorders achieve success in the classroom and at home. 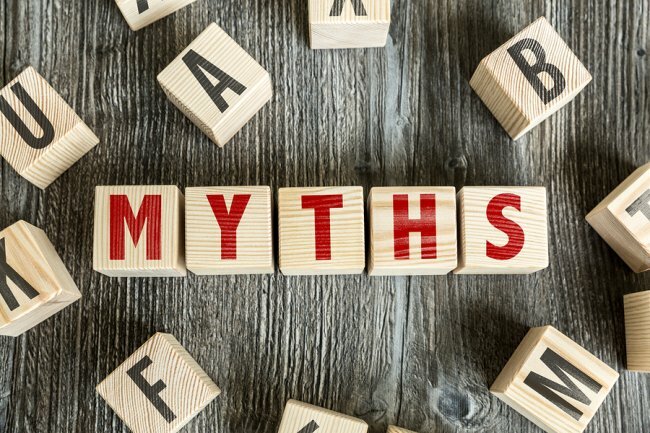 What Are Some Common Myths About Autism? Autism is a condition that can affect an individual’s ability to communicate and interact with others. Although autism spectrum disorders are considered common, autism and other behavior disorders are often poorly understood by the public. Differentiating between the myths surrounding this condition and the truth about autism can help you better understand how and why autism treatment and therapy options work to improve quality of life for individuals with autism. While it is true that autism affects an individual’s ability to connect and communicate with others, it does not necessarily affect the capability of a child to care about others. In fact, many children with autism develop deep and meaningful relationships with friends, family, and teachers. In many cases, children with autism only seem shy or isolated because they have trouble mastering social skills or picking up on unspoken cues, such as body language or facial expression. One of the most common and pervasive myths about autism is that this condition also causes intellectual as well as social disabilities. This myth has arisen largely because some students with autism have special needs in the classroom and do not progress at the same pace or in the same way as their peers. Autism does not necessarily affect intellect, and individuals often have average or above-average IQs that allow them to excel in math, science, art, and music. Autism spectrum disorders are caused by biological and genetic factors that are present at birth. While a child who receives ABA therapy can develop excellent social and communication skills that may allow him to catch up to and progress with his peers over time, autism symptoms are typically a lifelong condition. If you have questions about autism spectrum disorders, The Behavior Exchange can help. Please call us today at (888) 716-8084 to discuss autism therapy options, including behavior therapy and communication training. You can also learn more about autism and autism symptoms on our informative website. Autism is a condition that can affect the way an individual perceives and interacts with the world around them. Behavior disorders such as autism can often impact language and speech in varying ways. Autism can affect a child’s ability to express his thoughts and feelings in a social setting. Children with autism spectrum disorders may have difficulty speaking with others or have trouble clearly describing their thoughts, intentions, and emotions. Autism can also affect physical speech, causing difficulty mimicking or making the proper sounds associated with words and language. Although autism spectrum disorders can affect language, expression, and speech, the right tools and assistance can help children with autism learn to successfully and openly communicate with others. At The Behavior Exchange, we offer communication training using ABA therapy as part of our services. We invite you to learn more about autism symptoms and what to do if you believe your child has autism on our website, or reach out to us by phone at (888) 716-8084 to speak with a board-certified behavior analyst . It can be difficult to adjust after you discover that your child has or might have autism. However, there are several things you can do to help your child during his or her treatment. Keep reading to learn more about the role of parents in autism therapy. Make it a priority to learn as much as you can about autism spectrum disorders. As a parent, you’ll be making important decisions concerning your child’s therapy. It’s critical that you are prepared to make informed decisions so that you can help your child get the best treatment possible. Be sure to gather information from a variety of reliable sources, never be afraid to ask questions, and always have a say in treatment decisions concerning your child. You’re probably already an expert on your child. After all, children generally spend time with their parents more than anyone else. However, try to start keeping track of your child’s signs of autism and the specific patterns that you see in him or her. What triggers certain behaviors? When do you receive a positive response? The more you understand how the environment affects your child, the more prepared you will be to handle potentially difficult situations. It’s difficult to avoid comparing your child to other children. After all, you want the best for your child, and don’t want them to miss out on any important experiences. However, it’s important to accept your child the way they are and appreciate his or her unique qualities and small achievements. Helping your child to feel loved and unconditionally accepted is one of the most important things you can do as the parent of a child with autism. Are you looking for therapy for autism spectrum disorders near Plano? The Behavior Exchange can help improve the lives of you and your child through one-on-one therapy, group therapy, and even parent training . Contact The Behavior Exchange today at (888) 716-8084 to schedule a consultation. Is your child showing signs of autism? Children with autistic spectrum disorders face certain language challenges. Fortunately, Applied Behavior Analysis (ABA) therapy can help children with autism develop and improve their language skills. Watch this video to learn more about the specific language challenges that children with autism often deal with. Dr. Joy Hirsch explains how different areas of the brain operate to produce language processes. 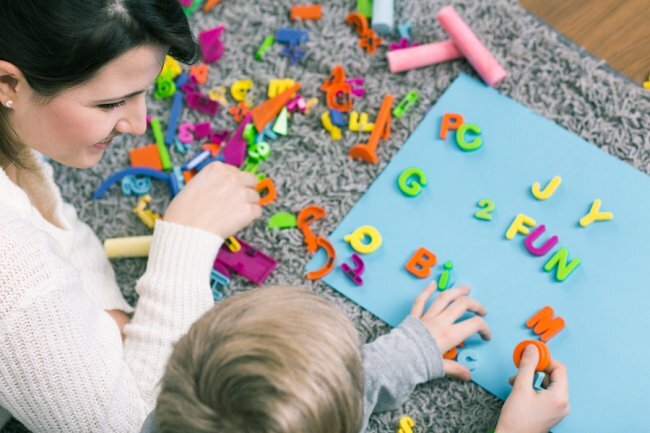 Scientists have come up with some different hypotheses as to how the brain’s processes can affect the language abilities of children with autism. Is your child showing early signs of autism in Plano? The Behavior Exchange specializes in working with children with autism and helping them develop their language and social skills to improve their quality of life. Call (888) 716-8084 today to set up a consultation with the Behavior Exchange. Are you interested in enrolling your child in a summer program that will help him or her with autism symptoms? The Behavior Exchange offers several summer programs led by Applied Behavior Analysis (ABA) therapists that help children with autism develop and improve their skills. The Behavior Exchange Early Start program (B.E.E.S.) 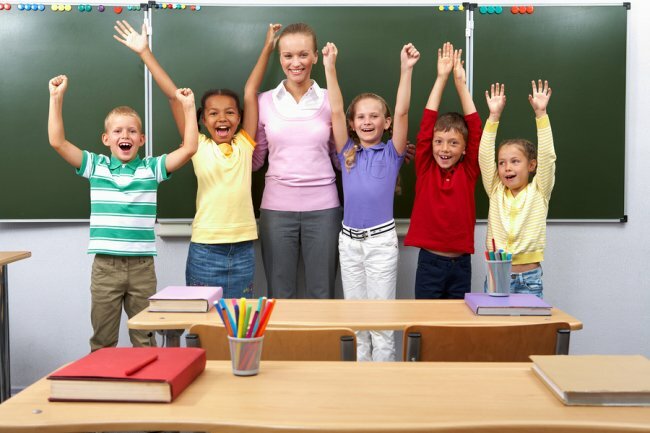 helps your child develop academic and social skills that will allow him or her excel in school. B.E.E.S. is a great option for children of pre-school or kindergarten age who are showing signs of autism. The Behavior Exchange also offers summer social skills groups to provide older, school-aged children with the tools they need to develop their relationship skills and cooperate and interact with others. Finally, the Behavior Exchange offers one-on-one therapy in the summertime for children who find it difficult to participate in group sessions. As children progress in one-on-one therapy, they are integrated into an appropriate group program to continue their treatment. Are you looking for an autism treatment center near Plano? Contact The Behavior Exchange at (888) 716-8084 to set up a consultation for your child so that he or she can benefit from our behavior therapy summer camps .